Some days, you just need to feel like a champion. You need to have “Eye of the Tiger” playing on your music play...all day. You need to feel like you went the distance with a will to survive. You need to feel like you took down Apollo Creed in round one. You need to feel like you just made Clubber Lang eat all of his trash talking words. You need to feel like you climbed to the top of the stairs of the Philadelphia Museum of Art! We know just the way to make you feel that way. 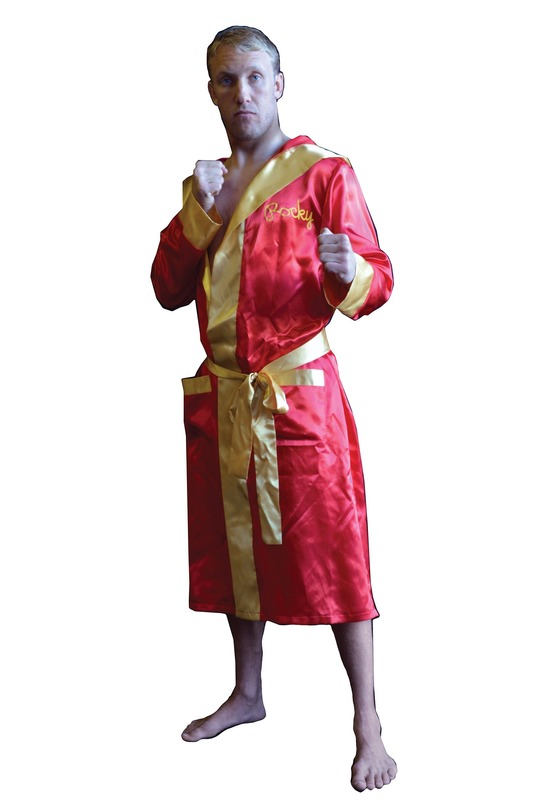 This Adult Rocky Balboa Robe recreates the look seen in the Rocky movies. 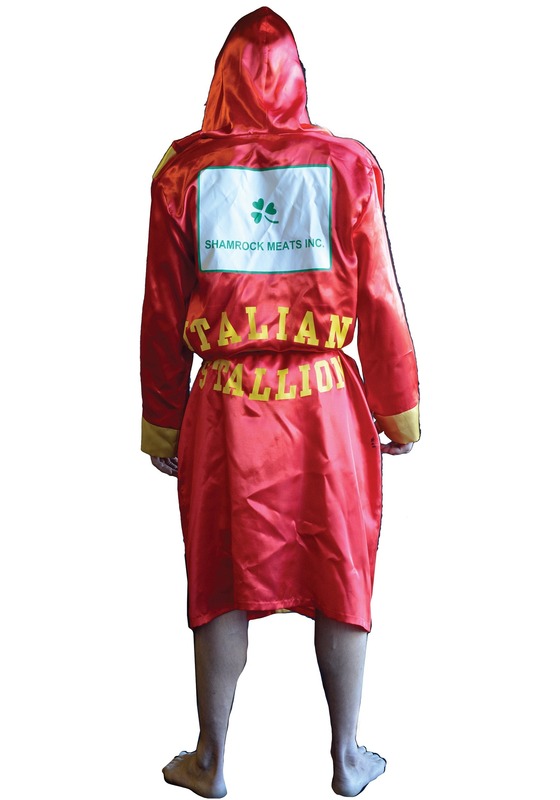 The satin robe features the signature red and gold colors of the Italian Stallion along with a Shamrock Meats logo in the back. Once you slip it on, you can almost hear Mickey shouting at you to give it your all. 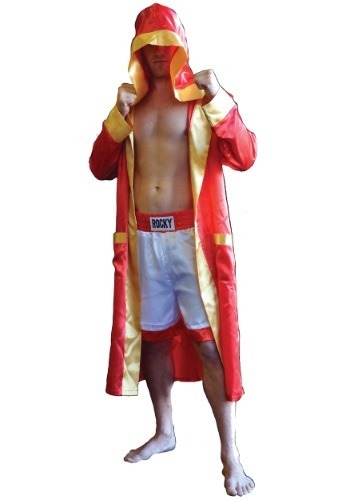 You might even feel tough enough to challenge Ivan Drago to a boxing matching. (We have to advise against it unless you're a champion heavyweight boxer, trained by only the best trainers).